Alaskim | Surviving Wildlife, Wildflowers & Wild-Haired Children: Wait a Minute . . . 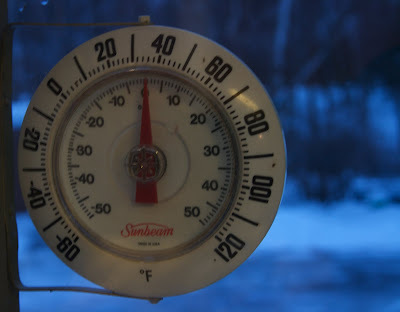 I realize that only three days have passed since I wrote an entire post about how cold it is. Forget everything I said. We woke up to a balmy 36° . . .
. . . and a driveway of water over glare ice. School's closed due to treacherous roads, so all four girls are home for the day. No problem. I'll send them outside to play. Um. Moose? Do you mind? A second moose standing guard behind the house? So much for playing outside. Wow living in Arkansas I would have no idea what to do if I saw a moose standing in my back yard... holy cow I would flip my freakin lid, and probably take 100's of pictures! Hope they go away so your kiddo's can play! How do you make a moose leave? Could you throw a firecracker at it or something? Do the moose ever come near the house when you or the girls are already outside? What do you do then?